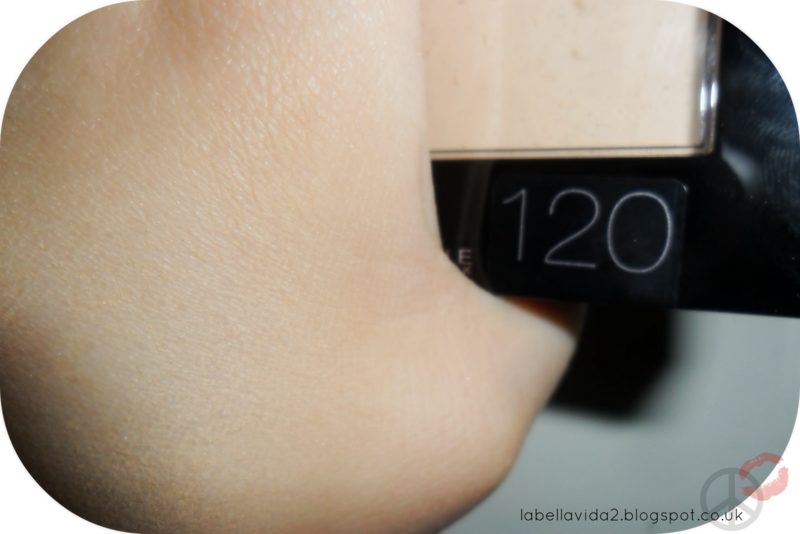 LaBellaVida: Maybelline's Fit Me - First Thoughts! So i said on twitter that i was waiting for a sample of the Maybelline 'Fit Me' foundation but it hadn't come! I was in desperate need of a new foundation though so i decided to go out and get it anyway! The shade i ended up with was 130 in the foundation. I would now say, after trying it on my face for a few days, that the lighter yellow based colour in 120 might have been a better match for myself! I will still be able to use the 130 though, it's just a slightly darker tone than my skin but is unnoticeable really (except to my perfectionist brain)! 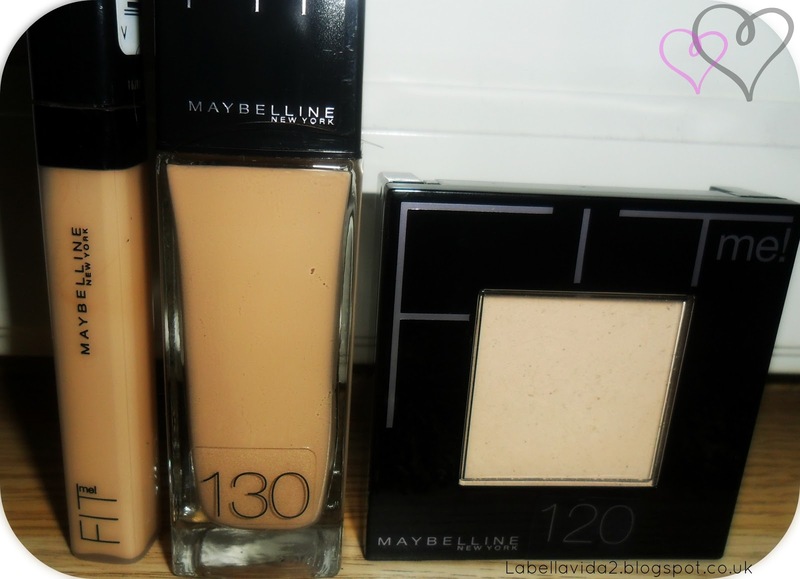 The formula of the foundation is described by Maybelline as 'our first gel foundation made with no waxes and fillers'. They have a concealer shade and a powder shade to match every foundation, a 'customised make-up system'. I think the idea of having matching shades etc is a really good one as although you can go get the shades you want, if you are like me you often end up with a concealer too dark for your foundation from two different brands etc! But maybelline's match system makes this a lot easier and makes for much more even base coverage. I love the consistency of the foundation, it is quite thin but not too much so, therefore it is easy to blend into your skin and gives good coverage without using too much product. The concealer is the same really, it is pretty much the same shade as the foundation, a little thicker in consistency but still quite thin for a concealer, it's really easy to blend away red marks or dark circles. The powder is slightly lighter and it gives really good coverage. I would say however, that i am not in love with the applicator this comes with and i much prefer to use my powder brush! I have been wearing the full combination for the past few days and so far, my makeup has lasted all day and i have needed no real touch-ups! Overall, i really do like the fit me range by Maybelline and am interested to see how long the products last me. I am enjoying using the products for now however, i do think the consistency might just be slightly too thin? I will see how i get on using them a bit more! If i do buy the range again, i think i might go for a slightly lighter shade too! Generally, i am really liking the collection so far! Have you tried the fit me range? It is worth a try! It's an alright foundation for the price really! 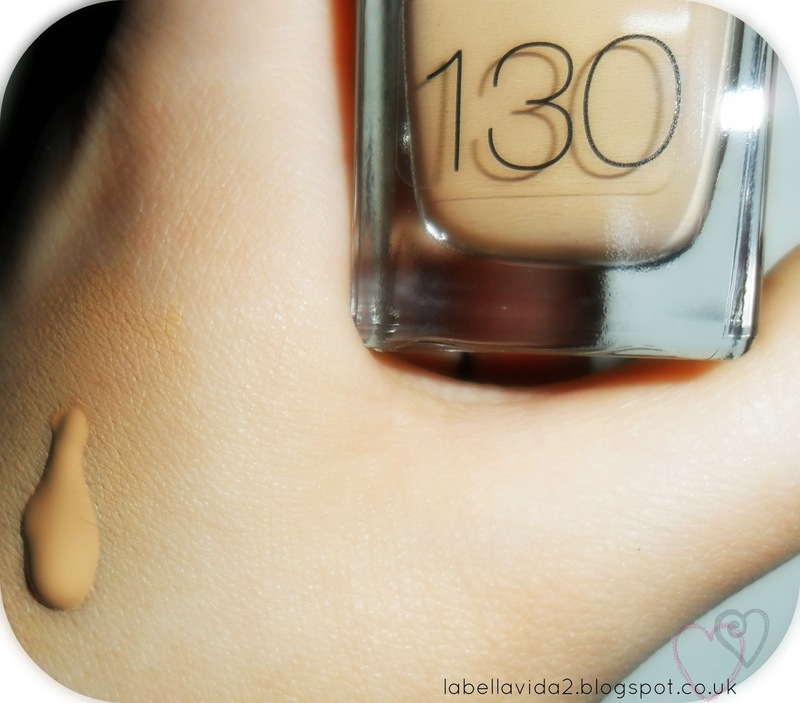 I've got this foundation and I am actually really impressed! I hardly ever steer towards drugstore foundations now as most of them that I have tried/tested have generally either gone patchy or not a good coverage. I'm quite impressed too, i didn't think i would like it as much as i do! I am really liking the powder too and i usually have a massive love/hate relationship with powder! I also find it has pretty good coverage and lasts a long time without going patchy! Pretty big thumbs up from me too! Yeah, hopefully your sample will come soon! You're not missing too much though :)!